Common Entrance Test of Osmania University @ OUCET Results 2016 is expected to be declared on 24rth June 2016.OUCET 2016 results will be announced online on June 24 after 12.30 pm. Candidates can download their oucet result on www.osmania.ac.in. An official media release on 22.06.2016 informed that the oucet results 2016 would be declared by the registrar on the osmania university campus in the presence of Subject deans and university colleges principals. Candidates who have attended the entrance examination during 6th June and 14th June 2016 for various courses can access their oucet result 2016 after official announcement by following the osmania official oucet site www.oucet.ouadmissions.com. Osmania University will be conducting the Common Entrance Test(CET) examination every year to give admissions to all those eligible and talented intellectual students who want to pursue various pg courses under the Osmania University. Accordingly, the OU PGCET 2016 examination had been successfully and peacefully conducted by the University admissions section officials to provide admissions for different pg courses for the academic year 2016-2017. Recently, there is an update news that the OUCET Result 2016 of all the examinations are to be declared on 24rth oucet results 2016June 2016. Candidates who have been waiting for the OUCET Result 2016 can access the result by simply following the official site or we are giving direct links bellow. 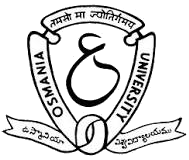 Osmania University has Recently issued oucet notification and successfully conducted by the ou admission branch officials for the admission in to different pg courses for the academic year 2016-2017.Huge Number of Candidates are applied through online for the OUCET 2016.About 80,807 candidates had registered to take the pg entrance exam, oucet pg entrance was held to facilitate admission into 45 courses.As per the given schedule the CET Examination is completed on 06/06/2016.Candidates who are attended to oucet pg entrance exam they are looking for OUCET Results 2016 Now that's time will come ou pgcet results to be declared today .Candidates who had Completed the OUCET Examination will only get their OUCET Result 2016. You can search for oucet results 2016link of OUCET 2016 Results in the homepage. Enter your hall ticket number and click on ‘Submit Button’. Your 2016 OUCET Results will be displayed on the computer screen along with the overall score obtained. The oucet examination is conducted for different post graduation courses like MA, MSc,M.com,M.ed etc.. Students had written the pg entrance exam with many hopes and dreams. Candidates who had qualified will opt for post graduation course, Applicants who got their names in the oucet merit list can download the OUCET 2016 PG Entrance Test Rank Card from the oucet portal www.oucet.ouadmissions.com. They can ou pgcet resultsattend for oucet counselling 2016 by carrying this score card. After OUCET results 2016 all candidates will be waiting for oucet counselling for admissions. Candidates who have qualified in OUCET entrance exam will be invited for counselling process. OUCET Admissions will be done based oucet results 2016on the merit list .In that counseling candidates have to submit their certificates in the verification process. After verification ou pgcet resultsaspirants have to attend for web counselling have to select colleges in which you oucet results 2016ou pgcet resultsstudents want to join. Osmania ou pgcet resultsUniversity officials will announce the counselling schedule soon..